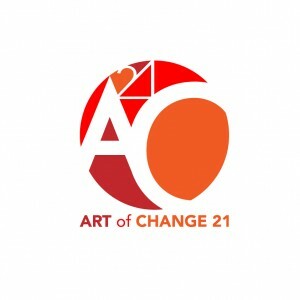 Art of Change 21 is an initiative for COP21. What is COP 21? It is the twenty-first international Climate Conference which will take place in Paris in December, 2015. A COP gathers the heads of states and politicians of about 200 countries. COP 21 is a rendez-vous with history. This time we cannot afford to fail, and citizens will push to succeed. But how? This is the starting point of Art of Change 21. Art of change 21 is an international movement of the people designed by “accelerators of change”: committed artists, youth and entrepreneurs. Voluntarily innovative and “rupturist”, it is not a pre-packaged action but a process. Its approach consists of applying the “paradigm of tomorrow” to citizen action. this paradigm is collaborative, ecological and creative. Art of change 21 is convinced that the “accelerators of change” are part of the solutions to the climate crisis. Art of change 21 creates a “climate of change” as a solution to climate change. At the end of November 2014, just one year before the COP21 of Paris, the best 21 engaged artists, committed youth and change-makers (social entrepreneurs, sharing and collaborative economy players, “makers”….) from all over the world will meet at La Gaité Lyrique, right in the center of Paris. It is THE CONCLAVE OF THE 21. THE CONCLAVE OF THE 21 is an international workshop which will answer the question: “how can we act together to positively influence COP 21?” and will determine a concrete international action which will then be implemented. In a collaborative process, THE CONCLAVE OF THE 21 will define the best action which will impact the COP 21, a thrilling action which will mobilize citizens and show that it is possible to change our daily life, with more fun and less carbon. ART OF CHANGE IS RECOGNIZED BY THE FRENCH GOVERNMENT. Art of Change 21 is entitled “COP 21” by the Ministerial Steering Committee. Here is an extract of the official support: “Your project corresponds particularly well to that which we value among the different initiatives: the ability to rally, positive and energizing speech on climate issues, international openness… In this context, your project “Art of Change 21” has obtained the support of the Ministerial Steering Committee of COP21.